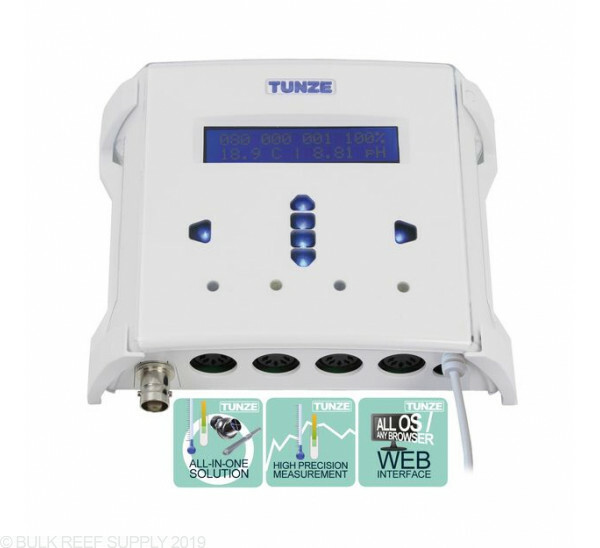 Control your Tunze pumps, lights, heaters, CO2 system and many other accessories, all through WiFi with The Tunze SmartController 7000. The new controller lets you connect and sync all of your accessories together through a single controller giving you maximum control through individual channels. Using the SmartController 7000 can be done through the head unit but additional features will be unlocked when it is connected to the internet and controlled through a smartphone or PC. Connecting to the internet is very simple and you can connect to the SmartController through its own access point or connect it to an existing network letting you control it from anywhere in the world. 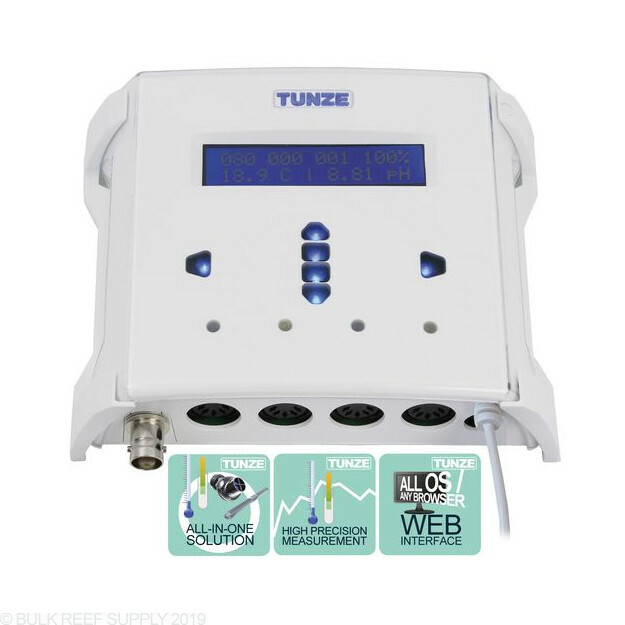 The Tunze SmartController 7000 is the ultimate pump and lighting controller for Tunze Turbelle Controllable Pumps. 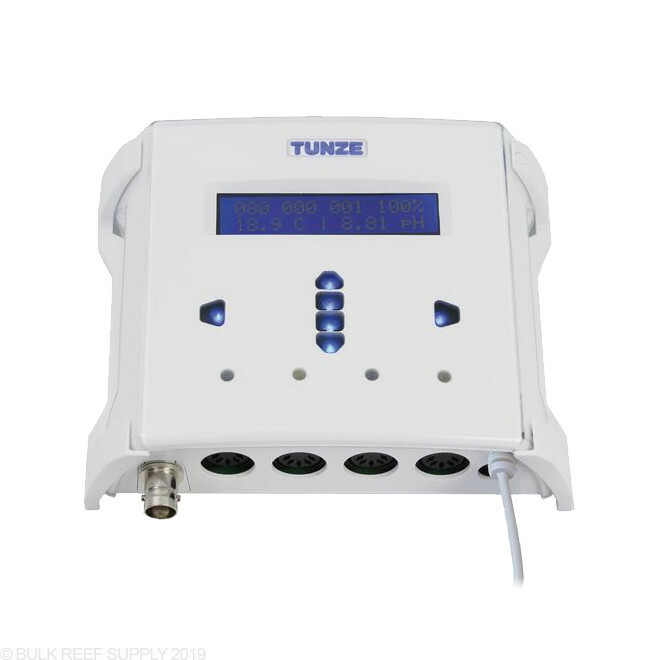 Individually control your stream pumps through 4 separate channels that allow you to customize the overall flow and intervals and wave generator settings. Select channels can be set to sync or anti-sync for standing waves, and increased flow characteristics. Directly drag on a graph or use the controllers head unit interface to customize your Tunze LED lights daily schedule, moonlight settings, and run real-time test and daily cycles. Set up controllable outlets using the Controlled Power Socket (7070.120) to monitor your heater or chiller and to take action if they ever fall outside of your designated ranges. The outlets can be used for many other applications that can be controlled by the temperature probe. 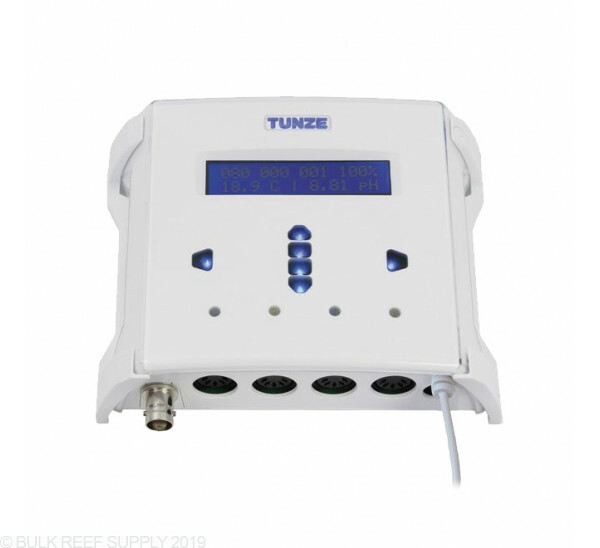 The Tunze SmartController 7000 is the perfect calcium reactor controller. With the CO2 Valve Set (7070.00) you can control the flow of CO2 into your reactor with a pH probe that you can customize and set the exact pH you wish to achieve in your reactor. Note: pH Probe not included.